Alan Luce is a veteran direct seller and senior management executive at major companies like Tupperware and PartyLite gifts. He was the Founder and CEO of Dorling Kindersley Family Learning, which became a $40 million business in its first four years. Today, he’s a consultant to more than a hundred direct selling companies, from start-ups to major powers such as Princess House, Avon and Amway. 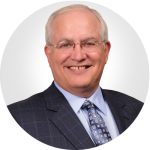 An expert in compensation plans, startup strategies and sales management programs, Alan sits on the boards of numerous direct sales companies. His many honors include induction into the Direct Selling Association Hall of Fame and the Direct Selling Education Foundation’s Circle of Honor. Alan has really become a partner with us. We needed some guidance to manage our business plan, map out a best practices strategy, build successful leaders and ultimately grow our business. I am forever grateful to him for his guidance and expertise.